The most important part of a website is its contents and how they explained. For explaining some topics we continue to put more texts, Screen shots as well as some good tiny pictures to impress visitors. If visitors found loading time for contents is too high and inconsistent they may exit it and search for other websites with similar niche. It will affect your blog very badly. And you should take serious consideration to avoid such kind of slowing up of your website and try to improve page speed. When I first created my wordpress blog (skyafar.com) I come across with many problems. Main problem that I faced was page rendering time. It was almost 5seconds when I checked it using some online tools. Page speed was about 70 out 100 which are too low as compared to normal websites. So I started investigating about it. Here comes importance of a quality webhosting for your wordpress. Get a pretty descent webhost for your website. That will definitely help you to improve google page speed as well as time needed for page rendering. So I shifted my blog from a free hosting to Hostgator webhosting. That improved my page speed from 70 to 75. If you are using some cheap webhosting shift it from there to some reputed company to enjoy complete features of premium web hosting. If you are planning to buy a hosting from hostgator you can start your webhosting for one cent. Use SKYAFARCOM coupon to get this discount. Installing a wordpress cache plugin should improve your wordpress page speed. 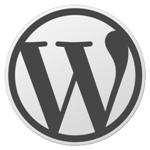 I am using wordpress Super cache plugin as my wordpress cache plugin. I got very good improvement with this plugin. There are some other wordpress plugins you can use. Other wordpress plugin that I strongly recommend is w3 total cache wordpress plugin. Cache helps unnecessary rendering of websites. When your website loads first time it will make a cache of all websites and will use this cache to speed a lot more next time. If you are using any images in your post or theme you should scale these pictures using some software tools. I am using vso image resizer and photoshop to compress it images losslessly. It will decrease image sizes from 10% to 70%. That will help a lot to improve page speed of your website. You always remember to save your images in right format. .jpg .gif and .png are better extensions you should use with your images. Have you ever used image sprites for your website? An image sprite is a collection of images put into a single image. A web page with many images can take a long time to load and generates multiple server requests will cut the number of server requests and save bandwidth. Did you ever use image sprites on your website? You should use image sprites and that will improve page speed to great extend. Learn sprites and try it with your website. Optimize database plugin will help you to optimize your database. So you should install this plugin and optimize databases regularly to achieve some greater improvement in page speed . You should not use hyper linked images in your website. Images that you are using may be hosted on a free hosting server or some other servers that may take a lot more time to load. That will affect page speed of your blog and give some places if they delete images from their servers. To your websites .htaccess file to avoid hyper linking from your website. So that will improve page speed of your website. This is some thing new for me. I checked one of my website and i got 83 out of 100. But you are scoring 94 out of 100.